Avatar as a teaching tool! Avatar, despite all the negative publicity, seems to be garnering some positive feedback. This could easily become a classroom activity: Ask Ss to determine how many of their colleagues have seen Avatar… Ask them to ask each other how they interpret it? which interpretation strikes a chord and why? “Avatar” Director James Cameron may have been thinking about the US in Iraq, but apparently many Palestinians have adopted the movie as a metaphor for their cause. 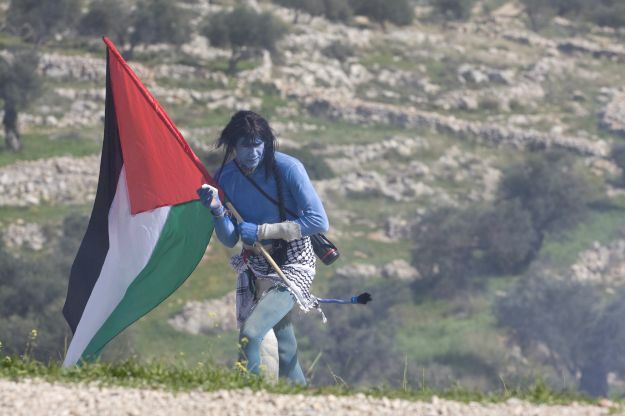 In a rather bizarre demonstration, people in the West Bank town of Bil’in have been dressing up as blue Na’vi to protest at the border barriers. The image is striking, gets media attention, and certainly exemplifies the power of popular film. Kudos to David for posting this on the TEACHERS AGAINST PREJUDICE e-list. « Once more, with feeling!